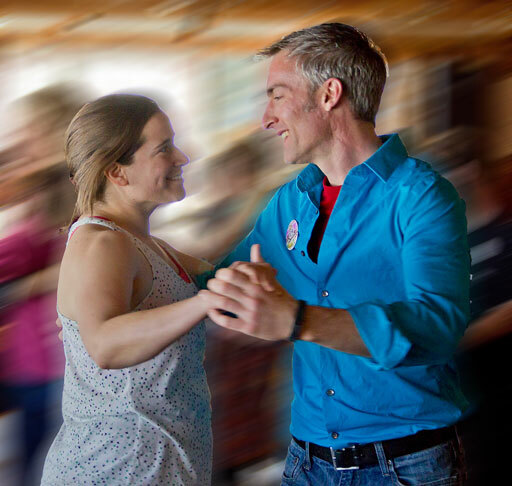 Erik Erhardt (Abq, NM) calls contra and English, instructs couples dance, and organizes dance in New Mexico, traveling widely for dancing and community building. 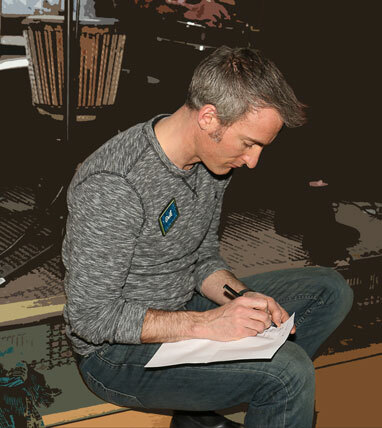 In his engaging and entertaining manner, Erik’s teaching is encouraging, clear, and detailed giving all an opportunity to gain a sense of mastery at each person’s level while having something to gain for everyone. 2015 CDSS Local Hero. Thank you, FolkMADS, for giving me a place to give. Calling May 26-29, 2017 at Catapult! National Contra Showcase. In Fall 2013 I began mentoring a group of young callers in Albuquerque. The new group is wildly successful, calling many dances in Albuquerque and Santa Fe, first single dances, then sharing evenings in pairs, then taking on full evenings, and in June we’ll all call at the Albuquerque Folk Festival. I’m very excited by the energy this new group is stirring in our community! Many of our callers started or contributed to the NMCC. by Richard Wilson, Erik Erhardt, and Lauren Lamont, 2016. I believe that I have a lot to contribute for both weekend and week‐long festivals. I have years of experience calling contra, ECD, squares, family dances, unusual formations, Dutch crossing, and techno contra (and mixing music). For several years nationally, I have already been teaching waltz and Scandinavian couples dance as part of festivals. I have called at several festivals, including Stellar and Catapult!. I also teach workshops on calling, choreography, medleys, mixing music, as well as contra dancing workshops. I’ve been an organizer for about 8 years, president of my local FolkMADS, and hosted the CDSS SW Regional Organizers Conference at my university. All that being said, there are a lot of dance needs I can meet, joyfully. Prof Erik Erhardt (Abq, NM) calls contra and English, instructs couples dance, and organizes dance in New Mexico, traveling widely for dancing and community building. In his engaging and entertaining manner, Erik’s teaching is encouraging, clear, and detailed giving all an opportunity to gain a sense of mastery at each person’s level while having something to gain for everyone. Prof Erik Erhardt (Abq, NM) understands the subtleties of making dancing satisfying and joyful. In his engaging and entertaining manner, Erik teaches sequences of moves that can be used as is or broken down and combined in many ways. His teaching is encouraging, clear, and detailed. He believes that dancing is not about fancy moves (though, you’ll learn some), but more importantly about connecting with your partner, the music, and the flowing community on the floor. Prof Erik Erhardt (Abq, NM) calls contra and English, instructs couples dance, and organizes dance in New Mexico, traveling widely for dancing and community building. 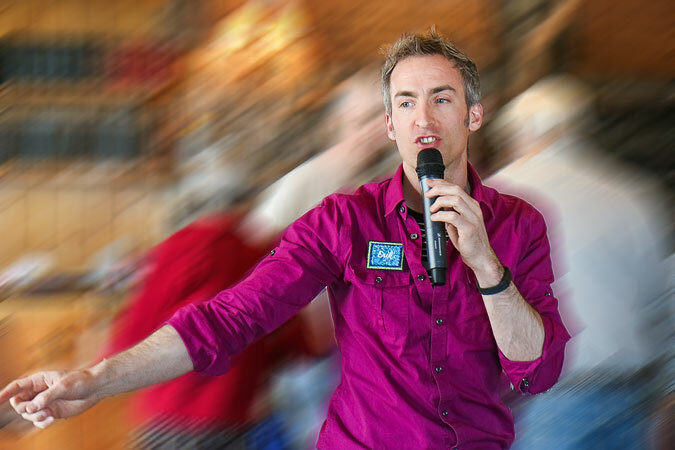 In his engaging and entertaining manner, Erik’s teaching is encouraging, clear, and detailed giving all an opportunity to gain a sense of mastery at each person’s level while having something to gain for everyone. As an active dancer, he understands the subtleties of making dancing satisfying and joyful. He teaches using sequences of moves that can be used as is or broken down and combined in many ways. He reaches everyone by explaining ideas in several ways, by zooming in and out to focus on the details and how they flow together to create a continuous and smooth ensemble, and by connecting with individual dancers to find the details that they need in the moment. He builds on similarities between moves while emphasizing the distinctions and nuances. He believes that dancing is not about fancy moves (though, you’ll learn some), but more importantly about connecting with your partner through timely leading and following, connecting with the music by arranging moves with the musical phrases, and connecting with the flowing community on the floor through awareness. Prof Erik Erhardt (Abq, NM) is the caller and the DJ. A meticulously-choreographed continuous 1-hour+ contra dance medley to custom-mixed electro swing and modern club music consisting of dozens of tunes and many dances will keep your feet moving and your heart pumping. Some contra dance experience is strongly recommended (at least two evenings of dance). Annotated list of selected calendar events (last updated 5/8/13).